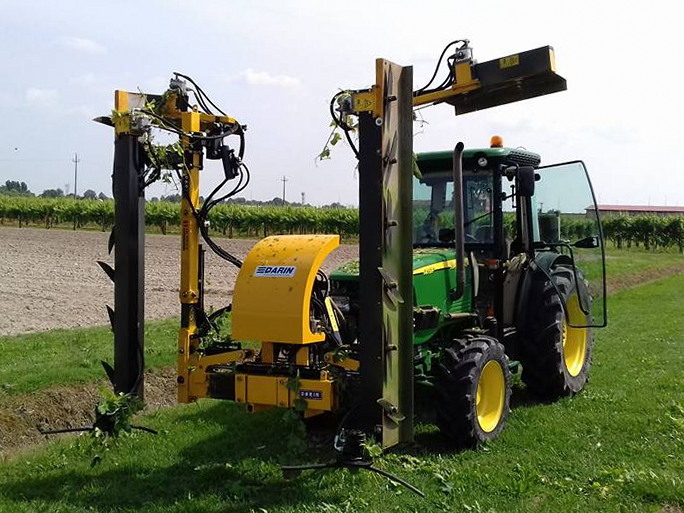 This vineyard trimmer is the doubled version of our 180 model and preveserves the many advantages introduced: lower control of movements, high visibility in the front of the tractor, great working speed. With this machine you are able to trim contemporarily both right and left side of the row with a perfect control of the situation. Topping: 0,72 m. (two blades) right side standard, left side optional. 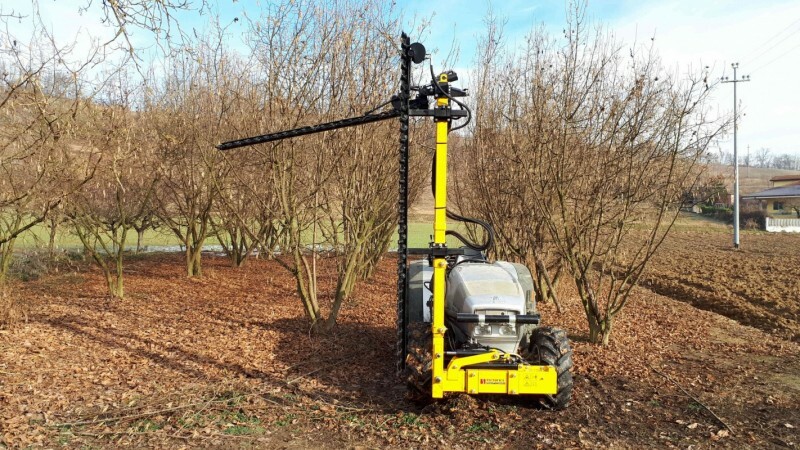 Topping: allows the cut in the top of the canopy area, and is equipped with a hydraulic actuator operated by joystick for its vertical lifting in the case are present obstacles. It has two knives to a useful area of 70 cm cutting. It can be ordered for right-side only or also for the left. Conveyor for falling shoots: moves the vegetation from the lower area next to the poles line to the rows bringing it to intercept the cutting parts. Hydraulic central: It avoids overheating of the tractor and put the machines in the condition to work in hydraulic flow rates, temperatures and pressures ideals. Extremely recommended with all rotary machines fast blades.